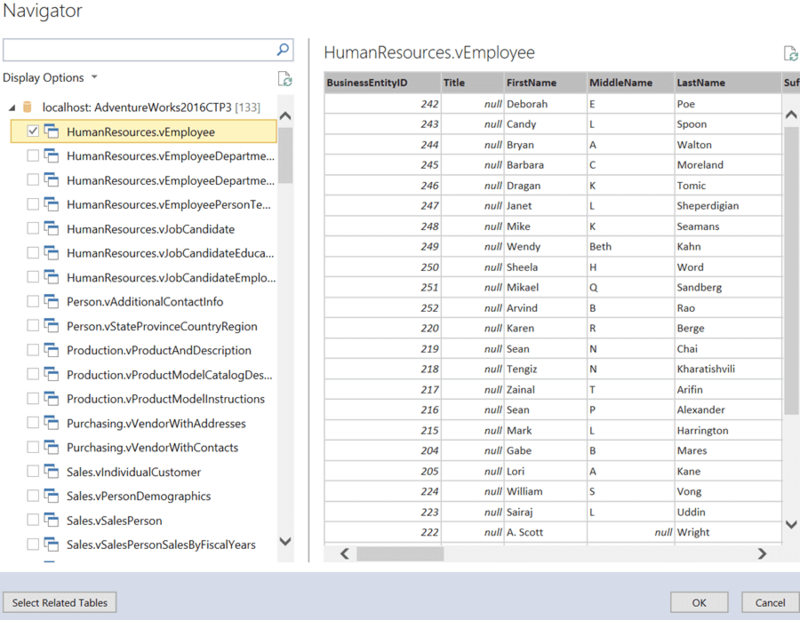 The experience of importing data into SSAS Tabular has been quite similar to importing data into Excel. Apart from providing the details of the data source and credentials, the ability to model the data (especially graphically) has been very limited. SSAS Tabular vNext introduces a new data import experience which makes the data import feature similar to Power BI Desktop and Excel 2016. 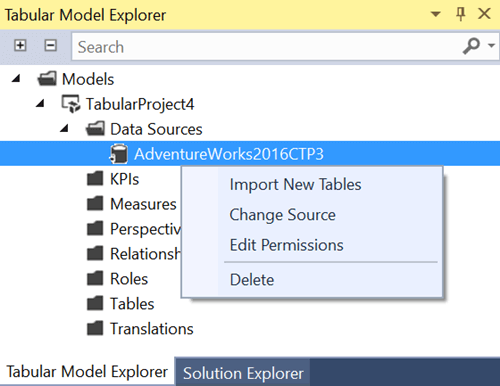 In this tip we will look at the Data Import process in SSAS Tabular vNext. 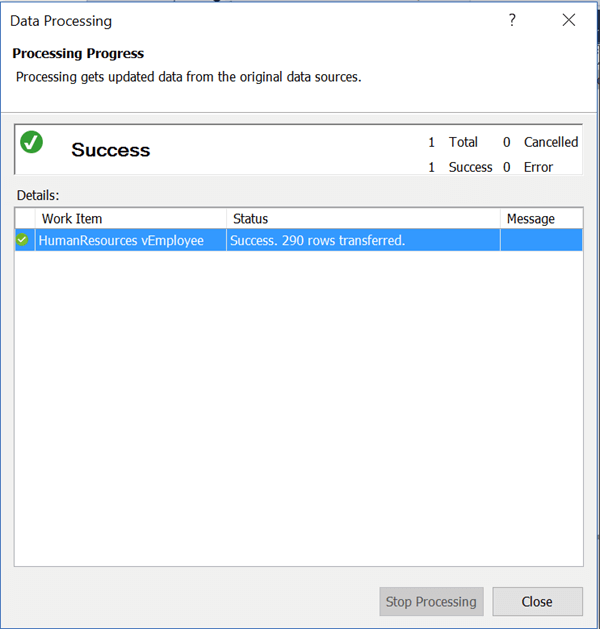 SQL Server Data Tools (SSDT) 17.0 RC1 and SSAS vNext provide the GetData wizard to enable a modern data import experience for SSAS Tabular solutions. In this tip we will cover the steps to import data. 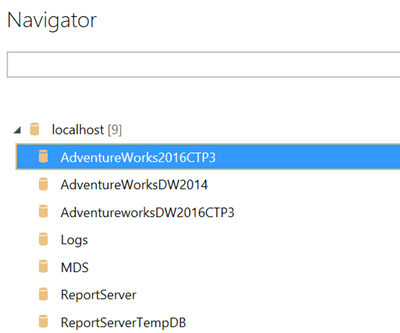 1) Assuming that you already have SSDT installed as well as SSAS Tabular vNext, open SSDT and create a brand new and blank SSAS Tabular solution. Click on the menu item Model > Add Data Source. This should open a new Get Data wizard. 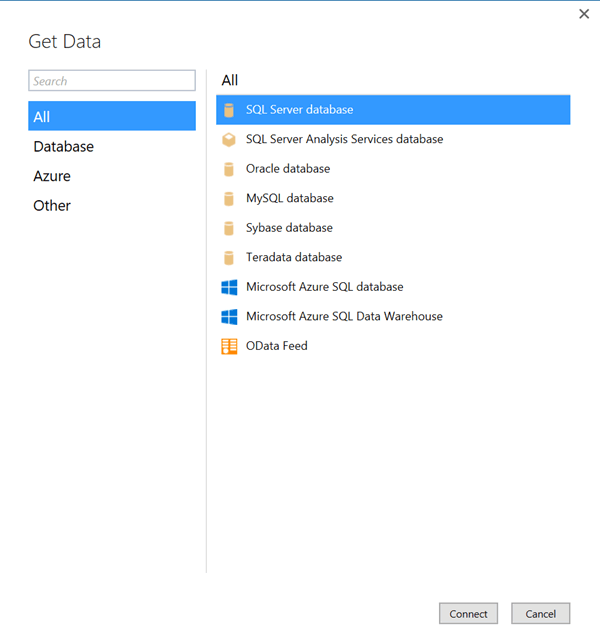 Let's say we intend to import data from SQL Server, so select that option and click Connect. 2) The next step is to provide server details. Provide the server name from where data is and click Next. 3) The next step is to provide credentials to connect to the server. Provide the server name where the data is and click Next. 4) You may get a notification as shown below depending on the encryption support of the data source. 5) In this step, select the database from the server and click Next. 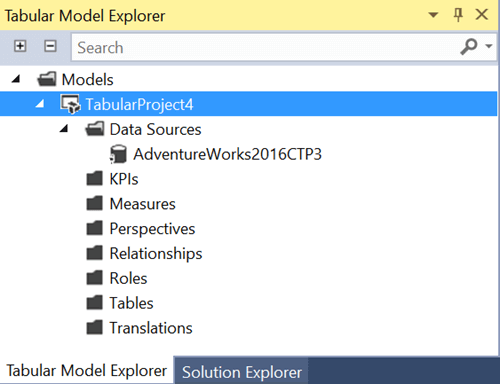 6) Finally the data source has been added which you can see in the Tabular Model Explorer window. 7) Right-click on the data source and select Import New Tables menu option. 8) This step will display all the tables and views in the database. Depending on the selected object, you can preview the objects and also select the option to include related tables. Select the tables of your choice and click OK.
9) This step provides the option of a full fledged query editor, which lets you manipulate the data as required. For now, click the Import button on the top-left corner. 10) Once the import completes, you should be able to see a success confirmation. 11) Finally you should be able to see the imported data as well as the table listed in the Tabular Model Explorer window. In this way, using the Get Data wizard, one can import data in a sophisticated manner with better control over the shape of the data. Consider exploring the query editor to learn more about the query manipulation options. It's basically Power Query inside Tabular (step 9), which makes it a really powerful tool to get data in Tabular.